Arthur Doodson at his desk. Henry Adams (1840 – 16 Mar 1909). The son of James Adams and Esther Jones, Henry was probably born at the Telegraph Station on Puffin Island. He became the youngest employee of the Liverpool-Holyhead Telegraph when he was appointed Assistant Telegrapher at Point Lynas on 8 Apr 1852. He was the Able Seaman who rescued Captain Raphael Semmes of the CSS Alabama from the sea during the Battle of Cherbourg in 1864. He later became manager of the Star Steam Tug Company. He died in Seacombe in 1909, survived by his widow, Margaret Adams, formerly Pryce, née Savage. James Adams, Henry’s father, was born about 1807 in Kilkhampton, Cornwall. He married Esther Jones in 1837, in Penmon. James and Esther had at least eight children together, from Ann (1839), Henry (1840) to Esther (1861). James was Keeper of Puffin Island Telegraph Station from 1838-1852, then Point Lynas (15 Jan 1852 – 1856), returning to Puffin Island until its closure in 1960. When the electric telegraph replaced the semaphore telegraph, there was no longer a need for a station at Puffin Island, and James was pensioned off, only to be re-employed at the new electric telegraph at Bidston later in 1861. On 7 Apr 1861, the night of the census, he was living at Telegraph House, in Penmon, a pensioner. He was Keeper of Bidston Telegraph Station from 1861 to 1869, and was probably on duty when the Alabama set sail from Liverpool Bay on 29 Jul 1862. He became Keeper of Bidston Lighthouse in 1869, following the death of Ann Urmson. He was in charge while the new Bidston Lighthouse was being built in 1872-3. He retired to Beaumaris in 1879. Born about 1853 in Llaneilian (Point Lynas), the daughter of James and Esther Adams and sister of Henry. Assistant keeper of Bidston Lighthouse (1870 – 1875). Married Charles Edward Nuttall in 1875. Assistant at Bidston Telegraph Station (1867 – 1869); Assistant Keeper, Bidston Lighthouse (1869–1870). Served at Bidston Telegraph (1864), Bidston Lighthouse (Assistant Keeper 1875–83, 1st Assistant Keeper 1892–1901). Also served at Hoylake Lower (1864–69, 1872–75, 1888–92), Hilbre Telegraph (1883–88), and Ormeshead (1869–74, 1901–1912). Served at Bidston Lighthouse (keeper, 1900–1901), Point Lynas (2nd assistant, 1901–1903), and Ormeshead (assistant keeper, 1903–1911, died in service). Keeper of Bidston Lighthouse (1888–1903). Previously served as a lightship seaman (1863–79) and as keeper of Hoylake lower light (1879–1888). Mary Connell moved into the Lighthouse Cottages with her parents Mick and Mary Connell in 1937, and lived there until the day of her death. Dr. Arthur Thomas Doodson was a British oceanographer. 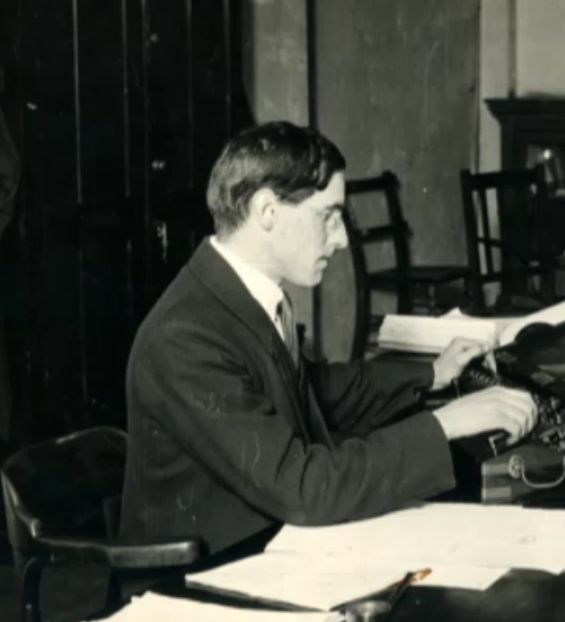 He was Associate Director of the Liverpool Observatory and Tidal Institute when it formed in 1929. Known for his contribution to the development of mechanical computers for tide prediction. John Hartnup, astronomer and Assistant Secretary to the Royal Astronomical Society, was the first Director of Liverpool Observatory when it was built at Waterloo Dock in 1843. He presided over the move to Bidston Hill, continuing as director of Bidston Observatory until his retirement in 1885, when he was succeeded by his son, John Hartnup Jr. He died suddenly at Langham Street, Portland Place, London, aged 79 years, and was buried in Bidston on Saturday, October 24, 1885. John Hartnup Jr. was the second director of Bidston Observatory and a fellow of the Royal Astronomical Society. He died on 21 April 1892, when he fell from the roof of the Observatory while making meteorological observations. He was buried at Bidston on Monday 25 April; Wirral Railway laid on additional train services between Bidston and James Street for the convenience of his many mourners. A former privateer, William Hutchinson was appointed Liverpool Dockmaster in 1759. He introduced the parabolic reflector into lighthouses, after experiments on Bidston Hill. He wrote “A Treatise on Practical Seamanship“, and kept the world’s first extended series of tidal measurements. George Fosbery Lyster was engineer-in-chief to the Mersey Docks and Harbour Board, a position previously held by Jesse Hartley (and briefly, J. 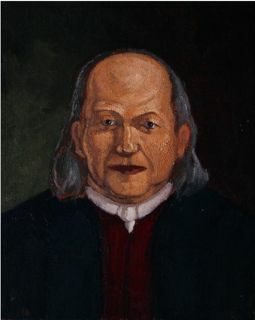 B. Hartley, Jesse’s son). He built Bidston Observatory, Bidston Lighthouse, Great Ormes Head Lighthouse and Hoylake Upper Lighthouse, remodeled Point Lynas Lighthouse, and constructed many of the docks in Birkenhead and Liverpool. This Isometrical View of Bidston Lighthouse is autographed by him. Wikipedia has a brief biography, and Grace’s Guide to British Industrial History has a much more comprehensive one. Telegraph keeper at the Telegraph Station on Bidston Hill. Married Jane Urmson on 14 Feb 1833 at St Oswald’s, Bidston. Daughter of Thomas and Jane. Appointed assistant telegraph keeper at Bidston on 18 Jan 1855. Died young. She was buried at Bidston on 6 Mar 1861. William Edward Plummer FRAS, was Director of Bidston Observatory from 1892 until his death in 1928. President of the Liverpool Astronomical Society from 1894–1897 and again from 1899–1919. An avid chess player, he was buried in Bidston churchyard. Joseph Proudman, CBE, FRS, Honorary Director of the University of Liverpool Tidal Institute. The Proudman Oceanographic Laboratory and the Joseph Proudman Building were named after him. Robert Stevenson was a renowned Scottish lighthouse engineer, famous for Bell Rock Lighthouse (1811) and many others. He visited Bidston Lighthouse in 1801 on a fact-finding mission. He was the grandfather of Robert Louis Stevenson, the Scottish author. Keeper of Bidston Lighthouse (1797-1835). Former sea captain. Son-in-law of Elizabeth Wilding, having married her daughter Mary Wilding or McCave twice (!) at Liverpool, St Nicholas in 1787. He is the old man featured in this story. See also: Will of William Urmson. Keeper of Bidston Lighthouse from 1835 until her death in 1869. Daughter of William Urmson by his second wife Ann Nichols. Married her second cousin John Urmson on 8 Aug 1841 at Bidston, St Oswald’s. Daughter of William Urmson by his second wife Ann Nichols. She was appointed Bidston’s telegraph keeper in 1827 by Barnard Lindsay Watson. She married Thomas Nichols on 14 February 1833. She is the young woman featured in this story. “ … occasionally assisted by her husband; … she …, being perfect in the whole code of signals, performs the responsible part of the duty. This couple were both at work together at the time I arrived, the young woman keeping the lookout, and calling the numbers, while the man, merely at her bidding, pulled the ropes. She not only kept him employed, but managed meanwhile to iron a shirt into the bargain.” Thomas and Jane had one daughter, Mary Ann Nichols, born in 1837. Principal Assistant to the Keeper of Bidston Lighthouse (1869-1872). Husband of Ann Urmson, his second cousin. He died on the 14th anniversary of his wife’s death. See also: Will of John Urmson. 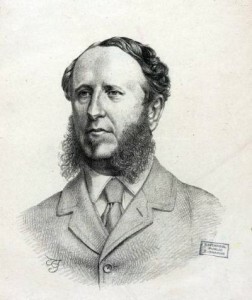 Lieutenant Barnard Lindsay Watson was the engineer responsible for the construction of the Liverpool-Holyhead Telegraph. His military rank was achieved not in the Navy, as many have assumed, but in the Army; he was made Ensign in the Oxfordshire Local Militia on 13 Apr 1813, and Lieutenant on 3 Nov 1820. The Liverpool-Holyhead Telegraph was his most significant achievement, his other enterprises (with the exception of the Hull-Spurn Telegraph) ending in failure. He went bankrupt three times: in 1831, while a flag manufacturer in Liverpool; in 1842, again a flag manufacturer, but now in London and Kent; and finally as a hotel keeper in Bathwick, Somerset in 1848. Barnard Lindsay Watson was baptised at St Marylebone’s, Middlesex on 15 Jan 1797, the son of John and Frances Watson. He married Teresa Griffiths in Evesham, Worcestershire on 18 Dec 1819, and had at least six children by her: John Ross Malcolm Watson (bap. 21 Oct 1820, in Broadway, Worcestershire, and again on 12 Dec 1822, in Weston-sub-Edge, Gloucestershire, while Barnard was a schoolmaster); Emma Teresa (bap. 12 Dec 1822, Weston-sub-Edge); Clara Teresa (bap. 8 Dec 1827, in Wallasey); Charlotte Maria (b. 19 Aug, bap. 8 Nov 1932, in Wallasey); Frederick Lloyd (bap. 18 May 1834 in Toxteth, while Barnard was Superintendent of the Telegraph); and Barnard Lindsay (b. 22 Jun 1836, bap. 31 Jan 1837, Liverpool and again on 3 Feb 1841 in St Pancras). After the death of Teresa (abt 1838, in Liverpool), Barnard re-married to Frances Penelope Warner (1816-1909) and fathered another six children on her: Francis Hethorn (b. 3 Jan 1840 in Kingston-upon-Hull); Teresa Frances (b. 21 May 1841, Middlesex); Emily Jane (b. 6 Jun 1843 in Queenborough, Kent); Charles Clarke (b. 1845 in Bath, and died 1852, in London); Alfred Edward Thomas (bap. 6 May 1848, in Weston, Somerset); and Eleanor Roberts (b. 1860, bap. 1 Jun 1869 in St Pancras, died, a spinster, on 28 Sep 1909). Barnard Lindsay Watson died in Suffolk in 1865, and was buried at St Peter’s, Monks Eleigh. Elizabeth Wilding, Liverpool’s first woman keeper, succeeded her husband Richard as Keeper of Bidston Lighthouse following his death in 1797. She got the job on the strict condition that “she shall continue to behave properly … and shall not attempt to employ or use the said Building called the Bidston Lighthouse or any of its Appendages as a Publick House”. She was also required to employ her son-in-law William Urmson as her assistant. Elizabeth was born Elizabeth Taylor about 1750, in Liverpool. She married John McCave, a gentleman’s servant, at Liverpool, St Nicholas on 25 Dec 1768. When she married Richard Wilding in 1776, she was a widow with (at least) one living daughter, Mary McCave. Elizabeth died in 1800. See also: Will of Elizabeth Wilding with biographical notes. Keeper of Leasowe Lighthouse from about 1765 until about 1771, then keeper of Bidston Lighthouse until his death in 1797. Married Elizabeth McCave on 4 Jul 1776 at Bidston, St. Oswalds.